Well, how many posts can I start this way? It’s been way too long, but I’ve finally got something together here, to share with you wonderful folks out there. This is gonna be a pretty random, and completely packed post. I figure I’m just gonna write about everything I want to share, rather than try and save any of it for another day (cause who knows when the hell that will come?!). 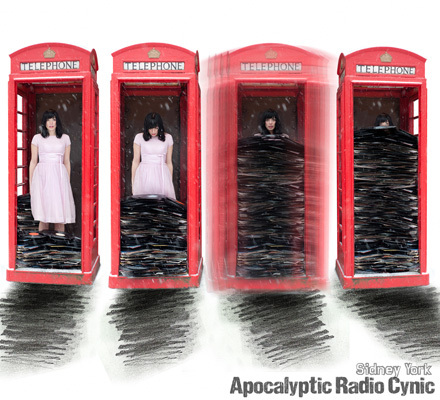 First up is Sidney York, and her brand new album, Apocalyptic Radio Cynic. With no shortage of musical experience, Brandi Sidoryk has put together one beautiful full length. She is calling a few spots in Western Canada home right now, and I'm sure they are all very proud of the talented songstress. 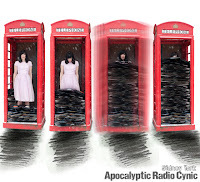 Funny enough, the self titled "Apocalyptic Radio Cynic" is probably my favourite tune on the album, it's just effing gorgeous! Look for it at the end of the month. More new music to sick your ears on is coming to us from Vancouver, as the McAloneys’ and their group Cupla have a couple of awesome new tracks up. This is just a group of super rad people, so to hear them putting out such awesome music is amazing. It’s a group that makes it very easy to cheer for and become a fan. Check out "Path Unknown", that'll bring up your day. Speaking of “easy to be a fan”, everyone’s favourite Saskatoon rock outfit, The Sheepdogs, are still in the running for the cover of Rolling Stone magazine. Get over and vote for our fellow Canadians! Another fellow Canadian I expect to have a great summer is Bodhi Jones. He’s got lots in the works, and judging by our favourite VanCity Busker’s blog and twitter feeds, he’s stoked about life right now. As for us Vancouver Islanders, there is plenty to be stoked about these days as well. Personally, I’m beyond excited for Sharon Jones and the Dap Kings playing here at Alix Goolden Hall at the end of the month. June brings plenty of talent into town, and I’m really excited that Sasha Lewis will be one of those acts. Keep an eye on her to find out exactly when and where, but plan for mid to late June. Another act in June worth your time is Jessica Benini. The Victoria talent will be releasing her album June 9th at Upstairs cabaret. With the pipes this woman has, this may be a downright inspiring show to check out. Also today, presale starts for Rifflandia. They have added Royal Athletic Park to the list of venues, sounds awesome. And there you go all, a quick and dirty run through of everything that has my attention right now. Plenty of great Canadian content in there, and probably even better then all the mentioned acts music, would be their personalities. Seriously people, how lucky are we to be Canadian and have all these great acts represent us?